Over the past few days, there has been so much talk going on about the planned rebuilding of the Estrella-Pantaleon Bridge which connects the Rockwell-Poblacion area of Makati and the Hulo-Barangka area of Mandaluyong over the Pasig River. More so when the Department of Public Works and Highways closed the bridge and reopened it a day later after it received complaints from motorists and commuters. But why the need for a new bridge, especially one that connects two bustling areas along both sides of the Pasig River? To answer this question, one must look at the history of the bridge and the development of these areas in question. As towns, and eventually cities, that faced each other with the Pasig River in the middle, Mandaluyong and Makati grew over the last 50 years, helping shape the identity of Metro Manila that we know today. While they took their own paths to growth, they shared some similarities as well. Nowhere is this more evident than in the area where the current bridge is located. This area in question was way different at least 30 years ago. The area near Estrella Street in Makati was actually an industrial area with the Rockwell thermal power plant on the west side and the Colgate-Palmolive Philippines factory on the east. However, by the 1990s, circumstances, some of them unfortunate and cruel, paved way for the changes to happen there. First was the decision in 1994 to abort the supposed resumption of operations of the thermal plant after protests by Makati residents. The plant was previously closed down indefinitely after a fire gutted the plant in 1974 which killed 3 firemen. 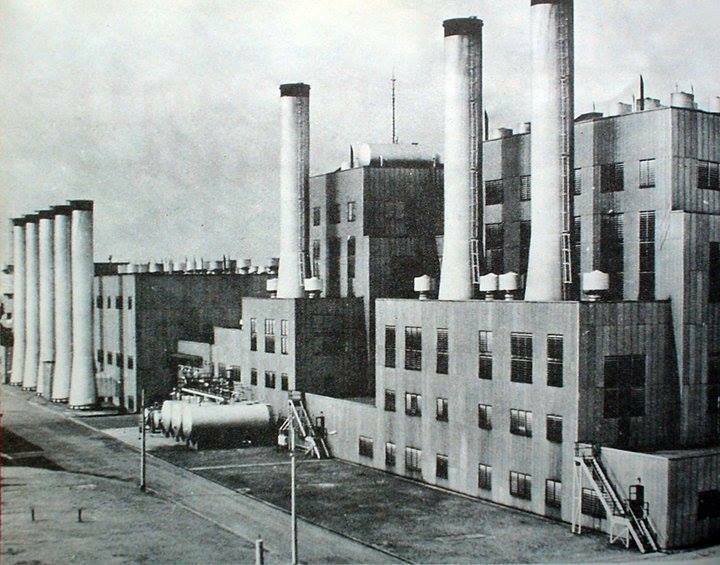 This led to the redevelopment of the Rockwell area which was kickstarted by the opening of the old thermal plant facility as the Power Plant Mall in 2000. This was followed by the closure of the Colgate-Palmolive factory in 2008 due to the difficulties it faced in operating in the country. Production was moved to neighboring countries Thailand and Malaysia while its Philippine office was relocated to Taguig. Rockwell’s developer eventually snagged the property years later as part of Rockwell’s development expansion and it was to become the site of its Proscenium project. Meanwhile, Noah’s Ark, which itself is sugar refinery that operated in the area as far back as the 1930s at least, was shut down sometime in the 2000s due to reported mismanagement, not to mention a court case which ended up in the deportation of its owner for being an “illegal alien”. In the process, the property was sequestered by the bank which in turn sold it to Century Properties, the same developer behind Century City Century Properties would waste no time developing the area as a response of sorts to what Rockwell is doing, this development would be the one now known as Acqua. In addition to Acqua, another developer is also planning a commercial-residential project called the North Bank. With these new developments, it would make sense that some sort of connectivity would be set up between these new bustling neighborhoods. While there is already the Guadalupe Bridge and the Makati-Mandaluyong Bridge already in existence to serve this purpose, traffic has only gotten worse over time as the growth of these areas merited a need to ease the future problem of mobility in this part of the metropolis. 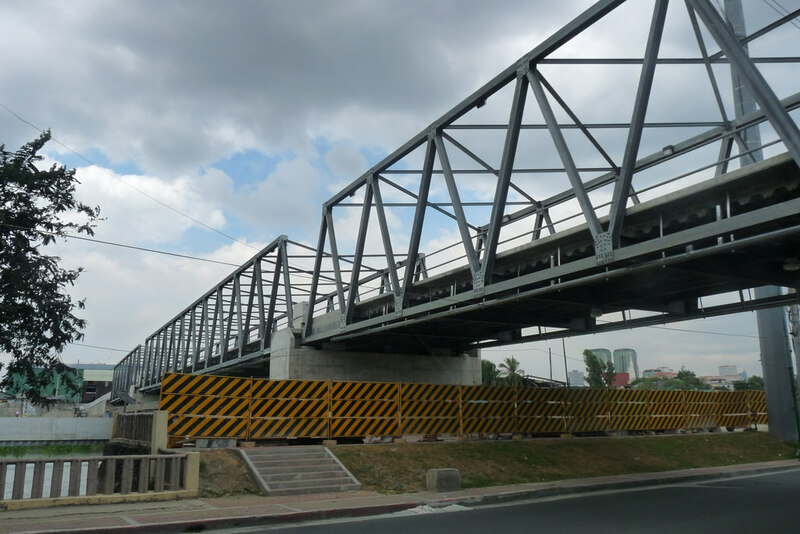 So with a grant from the Austrian government, the Estrella-Pantaleon Bridge was built and eventually opened to the public in 2011 to address these concerns. However, the bridge was met with criticism. For one, the bridge itself only allowed for two lanes, one for each direction, which makes it easily prone to congestions. It also did not help things that the Estrella Street end of the bridge is a wide road compared to the end which was a road as narrow as the bridge itself. Still, it was “good enough” for commuters plying the Mandaluyong-Makati route, considering the heavy traffic already being experienced along the Guadalupe and the Makati-Mandaluyong bridges. 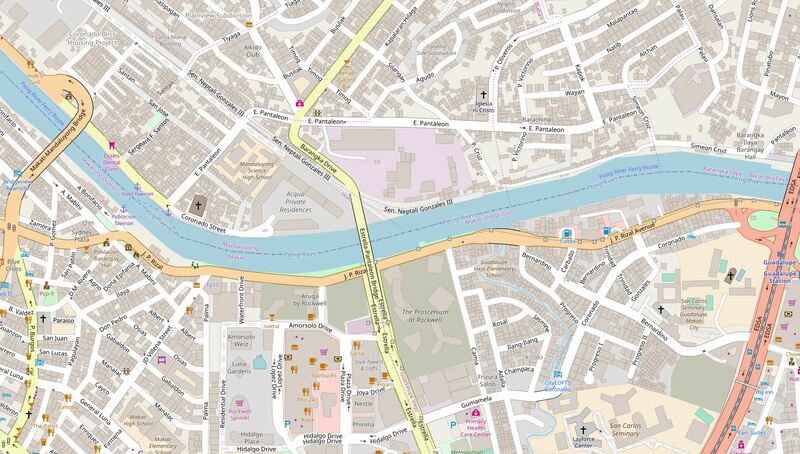 That being said, there have been plans by the Department of Public Works and Highways (DPWH) to “upgrade” the bridge. The advent of the Duterte administration and its “Build Build Build” program became an opportunity to put those plans into action. With a grant by the Chinese government (not a loan, FYI), the DPWH embarked on a plan to build new bridges crossing the Pasig and Marikina rivers as a way to ease traffic and improve mobility in Metro Manila. One of those new bridges to be built would be the new Estrella-Pantaleon Bridge which would now have 4 lanes. However, there is some concern with the new bridge as well. You see, despite the wider, um….width of this new bridge, the aforementioned road at the Mandaluyong side still is a two-lane street. So the result will be a bottleneck that will still result in the same old traffic in the area, if not worse. But there are plans supposedly to widen that road so that may address the matter. Then there is the traffic that will arise during the construction period. And with the Christmas season approaching, that will be a problem, especially for commercial establishments near the area. As of this writing, the plans are to commence work on the bridge on January 2019. Here’s hoping the construction of the new Estrella-Pantaleon Bridge will bring about better mobility in the metropolis.